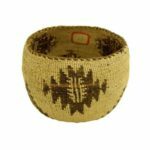 Southwestern Style Collectibles has prepared over 150 lots up for timed bidding ending on May 31st, 2016 at 6:30PM Central Time. 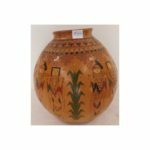 The auction features Native American artworks and collectibles as well as a fantastic selection of Mexican jewelry and quality collectibles. All items are taking bids throughout the week and the highest bidder takes them home. 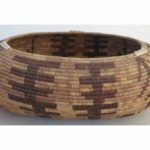 Southwestern Style Collectibles specializes in all of the categories they have presented in this sale, as well as vintage sterling and high end costume jewelry. They have been sharing their passion of collecting by buying and selling for several years. This auction has been carefully prepared to deliver treasures to everyone who joins the auction and all items have rock bottom start prices to drive exciting bidding action and great buys. One of the highlighted piece of Native American jewelry is a gorgeous bracelet at Lot 4. 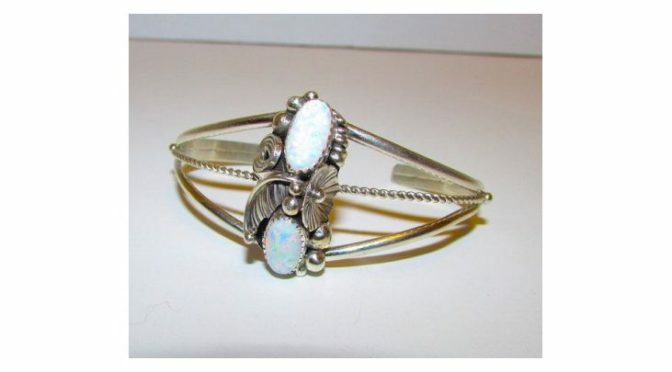 This is a vintage Navajo Sterling Silver 925 Opal Cuff Bracelet in wonderful condition. This fabulous piece features a traditional, elegant squash blossom design in sterling silver accented with 2 beautiful, shimmery opal cabochons on the front. The bracelet measures 1 1/2″ wide at the widest point and the inside circumference is about 6 1/2″ including the gap. The cuff can be carefully adjusted. Marked “sterling” on the back and signed by the artist this piece makes a superb addition to any jewelry collection. Lot 92 stands out as one of the best pieces of Mexican jewelry in the sale. This piece is a fabulous vintage Mexican sterling silver and turquoise necklace and pierced earrings. The set features a gorgeous starburst design in sterling silver accented with light blue turquoise cabochons with a beautiful matrix. The necklace is a collar style and is adjustable, and the pendant measures 1″ long by about 3/4″ wide and the earrings measure 3/4″ in diameter. It is marked “925” and “Mexico” on the back. This is one of over a dozen high quality pieces of Mexican jewelry throughout the catalog. For those who collect vintage dinnerware comes a great Victorian piece at Lot 149. Up for grabs is an exquisite trio of Victorian porcelain pedestal dessert bowls with handles in wonderful condition. These stunning beauties feature vibrant, intricate, hand decorated floral design, accented with superb luster and guilt. The dessert bowls measure 4″ tall and are 6 1/2″ from handle to handle. The pieces are unmarked with no chips, cracks, repairs. This is an outstanding trio that will add color and luster to any vintage porcelain collection. 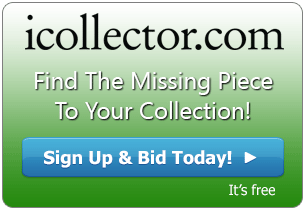 Southwestern Style Collectibles has positioned the auction to endure very item hears the auction hammer at a great price for the winning bidders. All bids are taken until closing time at 6:30 PM Central time on Tuesday May 31st, 2016. 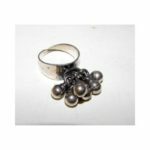 All items in the catalog have photos and detailed descriptions for browsing and the auctioneer is happy to answer all questions through email or telephone.